Good News Baptist Church can be found 4045 Georges Creek Road. 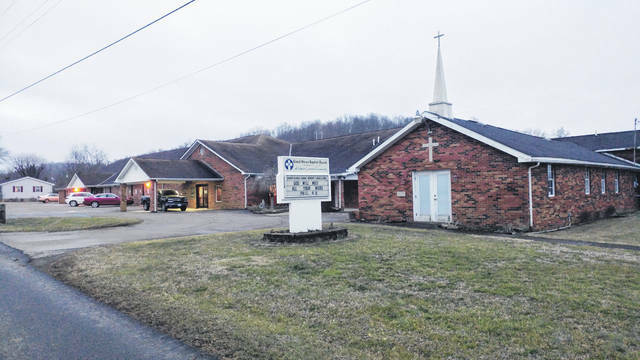 GALLIPOLIS — Good News Baptist Church is furthering its community outreach and ministry efforts as it partners with Holzer Health System to provide a Heart Health Fair, Feb. 8, from 9 a.m. to noon at its church location on Georges Creek Road. According to event organizer and church members Bonnie Simms and Lea Hout, blood pressure, blood sugar, cholesterol and bone density tests are anticipated to be given. “We started planning and talking about this back in the fall for Valentine’s Day,” said Hout. February is recognized as American Heart Month by the American Heart Association. “We have a craft guild here and our ladies will be doing and selling crafts and the money will go back to the benevolence fund for the church to help those in need,” said Hout. “We’re putting that money back into the community,” said the pastor. Good News Baptist is also known for its firewood ministry, helping heat the homes of those in need. “We give the Lord praise for what he does and how he opens doors for us,” said Hout. Good News Baptist Church can be reached through its Facebook page.